In this article I'll write my impressions after using the Surface 3 (S3) for more than 24 hours. It is not a science-based report because 90% of those who read these articles do not look for statistics but for honest opinions of those who have the opportunity to own one of these machines. I have the good fortune to own the Surface 3 (S3) and Surface PRO 3 (SPRO 3). The two Surface version 3. And this gives me the advantage of being able to compare the two experiences. What has impressed me more than anything else? 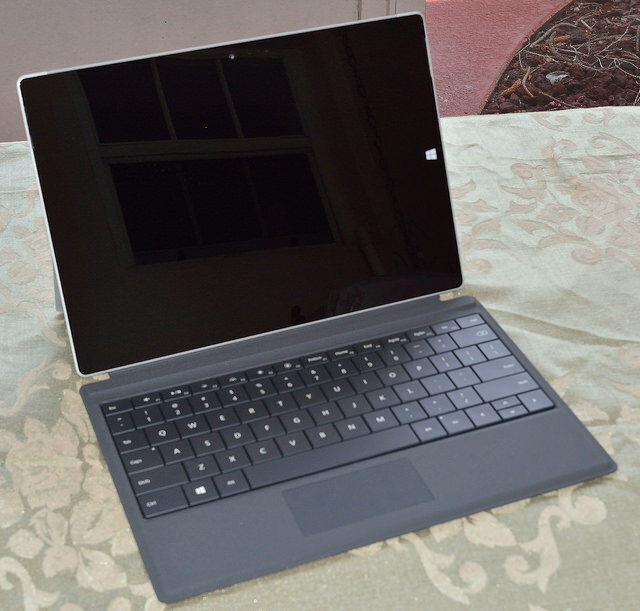 The way this version of the Atom processor is configured so that the Surface 3 works at a rather low temperature. The PRO 3 is hot. I have the i5 version and it's hot. However S3 is maintained at a temperature more bearable to touch. I've never been fond of Atom processors, my experiences with them go from temperatures that can fry an egg to a performance that leave much to be desired. I must say that Intel has come a long way with these processors. To Caesar what is Caesar's. Of course performance is still below even of the i3 but is sufficient for most tasks I've done in these first hours: Use OneNote, surf the Web, upload hundreds of photos to flickr from Onedrive! And Edit some of these photos with Adobe Photoshop Express an excellent program in MUI. Another thing I like about this machine is its design. It is in my opinion the ideal screen size and format. And it is lighter than the Pro version. This allows to hold it more time with one hand without getting as tired as when I use the PRO 3. However, a smaller screen does not mean a poorer experience than when you are using the PRO 3. The size of the fonts and objects are the same as seen in the PRO. Well, 8MP rear camera has now autofocus making it ideal for scanning documents. Something impossible in the PRO3 which is equipped with cameras of lower quality. Microsoft says that it last 10 hours watching videos. It is likely to last that if the WiFi is off, the BT is off and the display brightness is lowered. Using the S3 as I have used more than a day gives me an idea that it will last me about 8 hours battery taking in consideration that after 4 hours of battery I still had 52%. But I have to repeat, in those four hours I uploaded hundreds of photos from Onedrive to Flickr. An activity that uses the WiFi lot and this is one of the highest energy consumers. The new power connector. 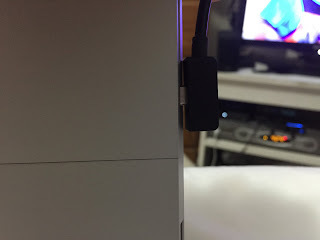 The PRO3 uses a magnetic connector that has saved the PRO from falling to the ground when I mess with cable, God knows how many times. S3 uses a micro USB port. A step backward. But not only this. 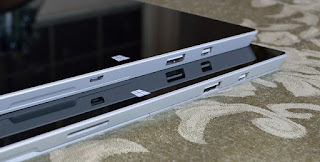 The sides of the S3 have some angle but the connector does not have this angle like it is shown in the below picture. Microsoft entered the hardware market to show others how to make quality products and this is simple bad design. A product of superior design and craftsmanship and somebody has screwed up this detail. Simply embarrassing. Would you recommend this version?